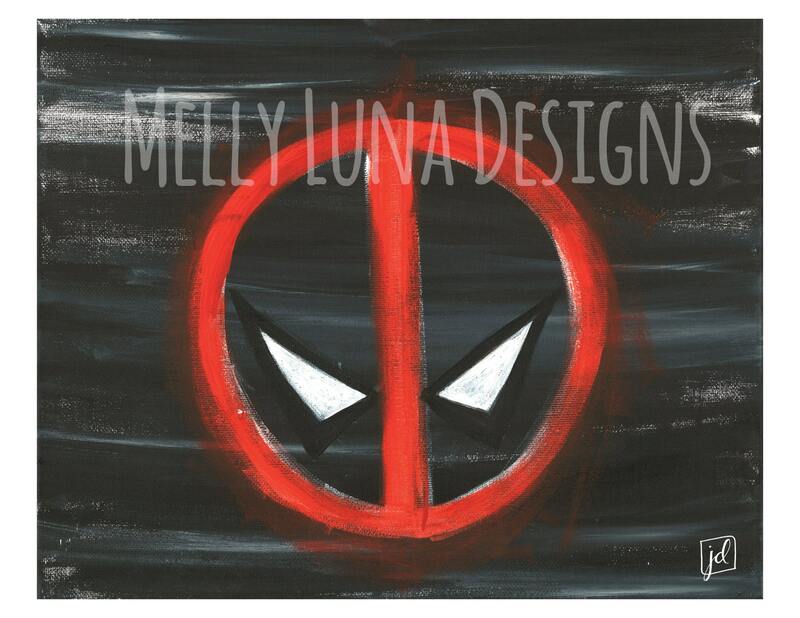 This is a reproduction print of a Deadpool symbol acrylic painting on canvas. The original art was created with pen and ink techniques and then overlaid on digital background. 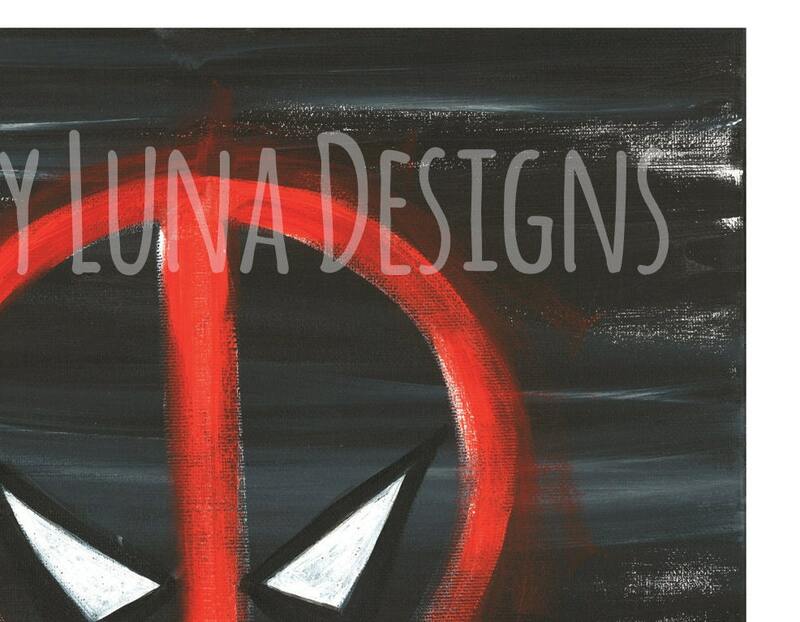 I print these at a local print shop on 8.5" x 11" semi-glossy card stock. The image is a 300 dpi high resolution jpeg printed to 8” x 10.” You'll receive the print only — the delivered print will not include the watermark shown.